The locals of the Soca Valley also call the valley, Soca FestiValley due to the many festivals that are organized during the summer. I recently visited this incredible place for the annual Soca Outdoor Festival. A weekend full of adventure sports. 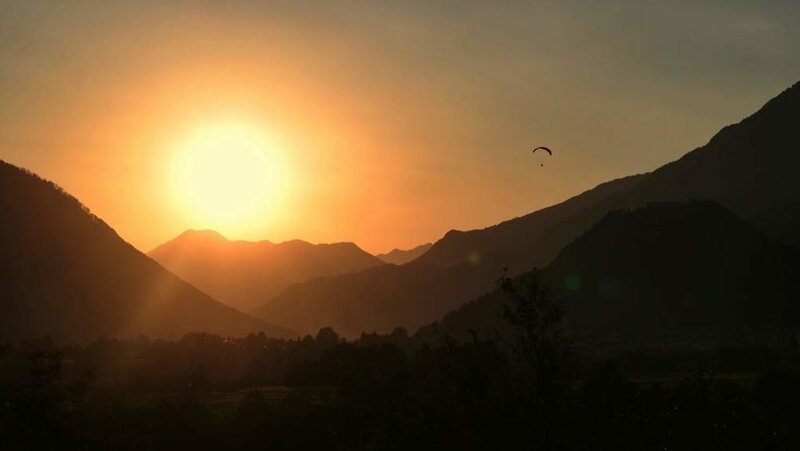 They offered all sorts of competitions from mountain biking and enduro racing up to paragliding and a half and full marathon through the mountains and beautiful hills of the Soca Valley. They also have plenty of other festivals throughout the year, like a metal music festival, a reggae festival but also cultural festivals and much more. Check out the whole festival schedule here. Slovenia is a very sustainable country and knows how privileged it is to have such beautiful nature. For this reason, already years ago the country has marked a big area of the country as national parks. The biggest one is the Triglav National Park which covers more than 4 percent of the country and is in a beautiful state. This is as pristine and untouched as it gets. 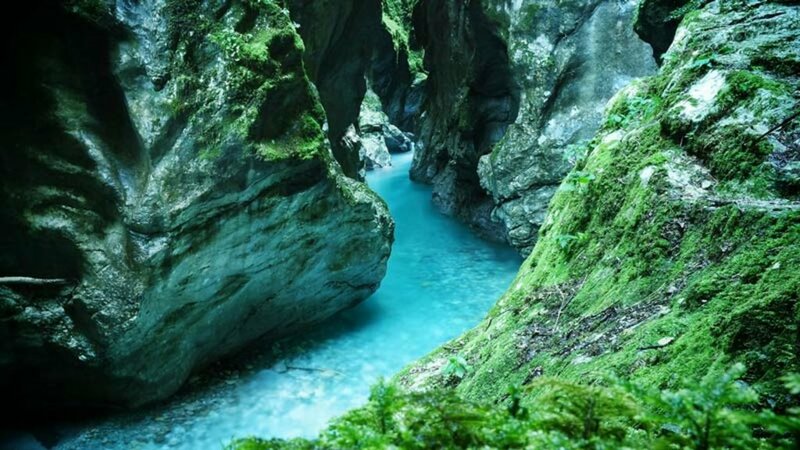 The Triglav National Park invites tourists and locals alike to enjoy the beautiful nature that Slovenia has to offer. 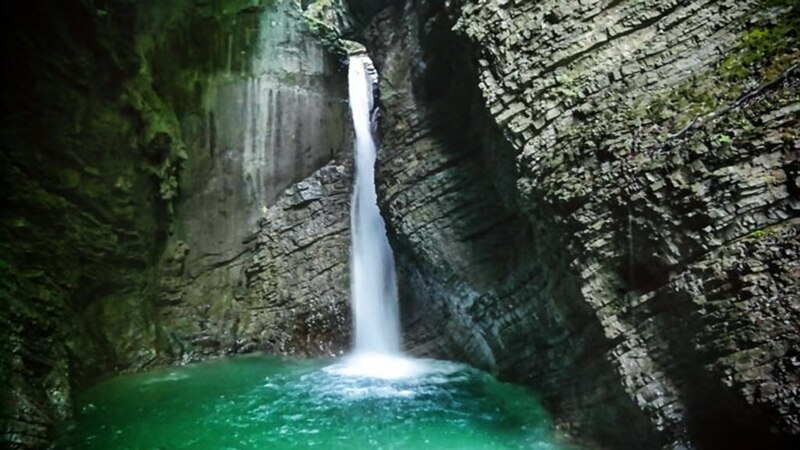 From easy hiking tours to some extraordinary sights like the Tolminka Gorge near Tolmin town up to the Kozjak Waterfall. All hikes can be done by non experienced hikers. For those that want to push themselves a little bit more, Slovenia has restored the frontline of WWI and renamed it the Walk of Peace. A multiple day long hiking trail that covers several mountains and will teach you a lot of one of the bloodiest front lines of eastern Europe during the first world war! I think there is no adventure activity that you cannot do in the Soca Valley. From popular activities like white water rafting to zip lining and climbing up to less popular activities like Hydrospeeding. The Soca Valley seriously offers something for everybody, no matter if you are traveling alone, as a couple or family and your adrenaline level will be on an all time high while traveling through this part of Slovenia. If you are planning on doing a road trip to Croatia or Italy, western Slovenia might be the right stop on your way. Laying right at the border with Italy, this area is perfect to kick back for a few days while making your way to the south! Torino and Venice are both very close. If you decide to spend a few days in the country, the best way to get around is by car. There are many rental car companies at the airport in Ljubljana and in the nearby airports of Trieste and Venice, which are only 1,5 hours away from Slovenia. Overall Slovenia is an incredible country with beautiful landscapes. It is one of the richest countries in Europe in terms of water with more than 27.000 kilometers of rivers, streams and other watercourses. Sovenia has one of the largest wild brown bear populations in Europe. According to a recent study, Slovenia has between 500 to 700 wild brown bears. Slovenia is definitely not a country that most have on their radar for their next holiday. However, this little country right between Italy, Austria, Croatia and Hungary has everything you probably need for a good holiday. No matter if you simply want to relax by the beach, power yourself out in the mountains while white water rafting or want to experience a new culture in its vibrant capital; The country invites you with a big smile and open arms to enjoy the things it offers. As one of the latest editions to the EU, Slovenia surprises with the diversity the country offers and while taxes are pretty high and salaries are low, the people didn't loose their smile in between. They love their country and are happy to show it to anybody that visits no matter if they ask for help or not. A friendly Slovenian will always go out of his way to make your experience as memorable as possible.